Arbourside Court is proudly owned by Society for Christian Care of the Elderly. 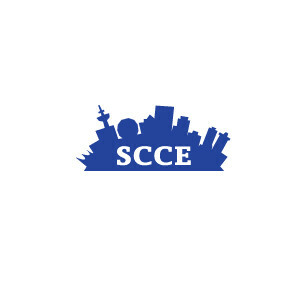 Since its inception in 1970, S.C.C.E. has provided affordable, quality shelter and care for the elderly. We are a B.C. registered non-profit housing foundation which owns and operates several independent living apartments. Society for Christian Care of the Elderly (SCCE) properties are proudly owned and operated in partnership with The Jones Corporate Group. We have been involved in the provision of seniors housing since 1960. Our Chairman and founder, Norman Jones, was initially moved by the needs of older members of his family and the community at large to find dignified housing solutions for them. What began as self-contained independent living apartments, progressed to include residences with personal services and beautiful amenities. These evolved through what became known as personal care homes which Norman helped to pioneer in the 1970’s to intermediate care facilities, congregate apartments with services, which became known as supportive independent living buildings, assisted living and complex care facilities. Jones Group and SCCE pioneered the integration of independent living apartments together with care and community recreation centres into an integrated building complex. Over the years we have introduced many innovative features to our work and to our buildings. As a result, Jones Group has received numerous awards and recognition. The group’s forward thinking has led to the acquisition and development of many unique seniors residences. We constantly seek to improve the quality of accommodation and services for residents. Our mission is to create an environment for living that exceeds our residents’ expectations. The personal well-being of our seniors is paramount. It is our desire to enhance their quality of life. We extend a sincere invitation and welcome to all seniors seeking a richer lifestyle. We value each individual’s aspirations and welcome them to experience our homes. We believe that we have some of the most wonderful, dedicated, and friendly people working within our homes. You will enjoy meeting and getting to know them when you make our home yours. The SCCE and the Jones Corporate Group, proud owner-operators of senior’s residences since 1970.